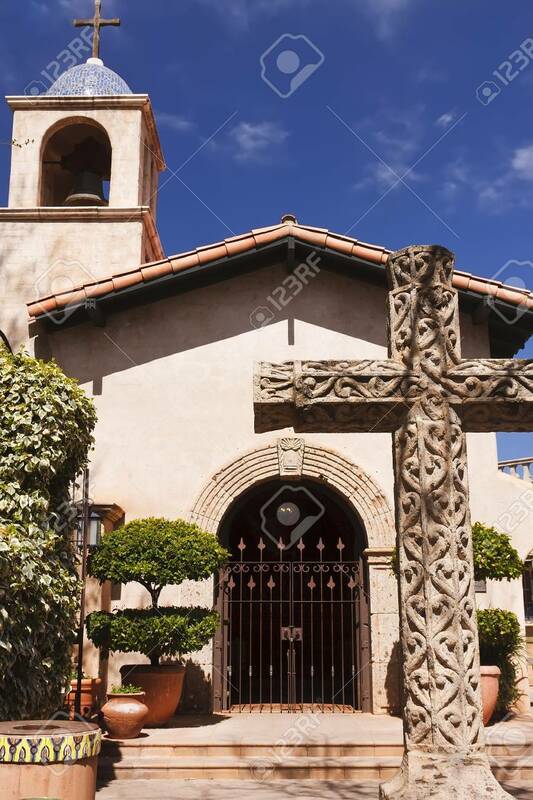 I would like to show and tell about two places of worship, one a nondenominational chapel and one Catholic Church that,too, seems nondenominational in its appeal to all people. 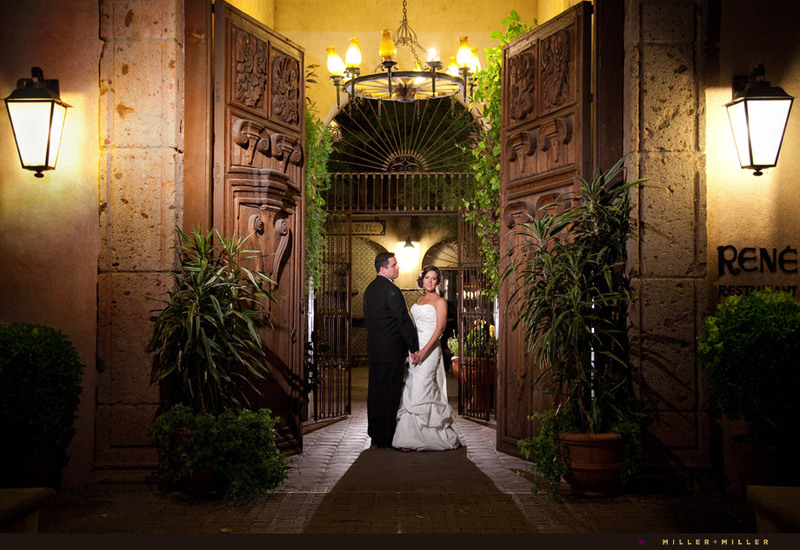 The first is a chapel for weddings and meditation located in Tlaquepaque. Hmm. . . a light out on the chandler! Notice the wonderful carved doorway. 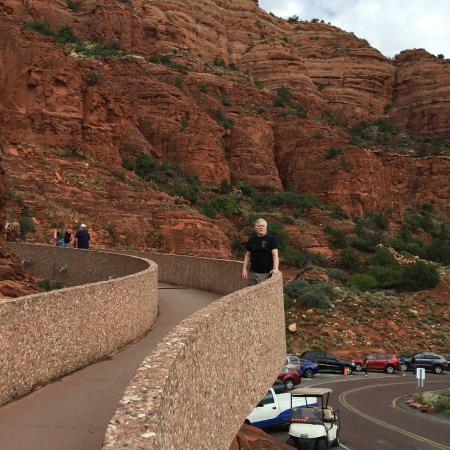 A few miles up the road is an amazing Red Rock Catholic Chapel Chapel of the Holy Cross) built in and on the edge of the dramatic red rocks. Walkway from parking up to the chapel. 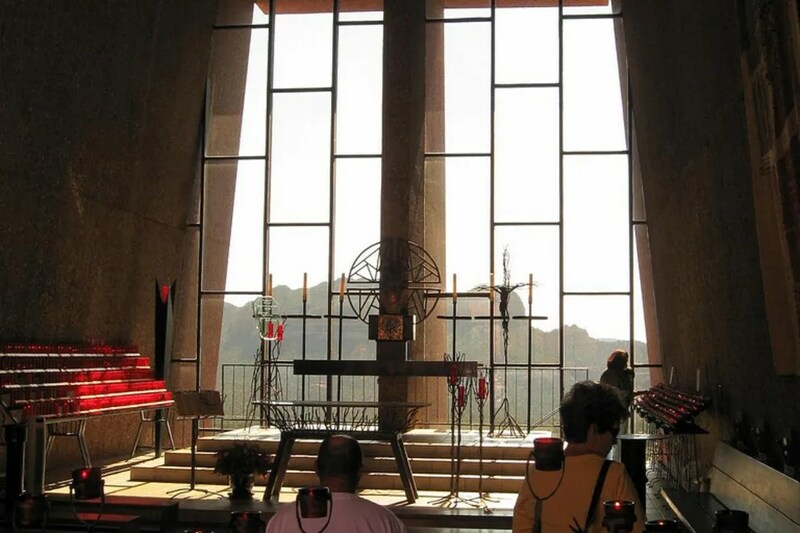 “More than half a century after its construction, the Chapel of the Holy Cross continues to be a place of wonder, spiritual renewal, and sublime vistas for all who come to Sedona. There is a lovely gift shop in the basement. I was very taken with nativity scenes from many countries and cultures. It just seemed perfect for a place of worship that opens its arms to people of all faiths for prayer, worship, and meditation. Just a little more information to show you how spectacular and popular an Arizona site, Sedona is to visitors and natives alike. This entry was posted in Architecture, Religions of the World, Travel, Uncategorized, USA and tagged architecture, chapels, chapels in Sedona, crystals, energy, National Register of Historic Places, New Age Religions, red rock formations, red rocks, Sedona Arizona, vortexes, weddings in Sedona Arizona. Bookmark the permalink.